This is the practical, step-by-step manual written specifically for the designer of plastic parts by a design engineer with 55 years of experience. Indicates the deviations in design practices between metals and plastics. Discusses the ways of circumventing ill effects on plastics as well as the corrective measures that can be taken. Covers choice of product material from the perspective of: favorable circumstances for application, design characteristics of each material, prediction of expected life, comparison, and relative costs. Includes detailed practical design problems. 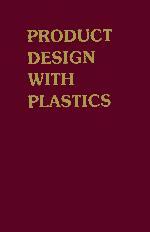 Introduction to the Application of Plastics. Description and Derivation of Short-Term Properties. Description and Derivation of Long-Term Properties. Polymer Formation and Variation. Polymers and Their Characteristics. Product Design Features. Designing the Plastic Product. Joining or Assembly Techniques. Description of Processing Plastics. Cost Estimating of Plastic Parts for Product Designers. Glossary. Index.